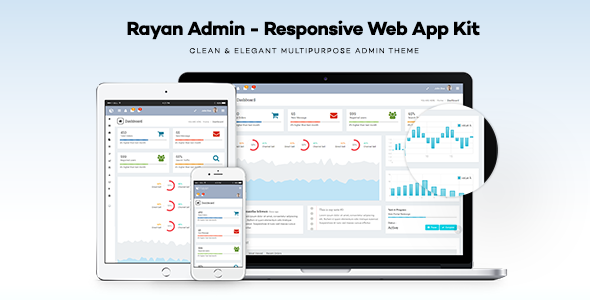 Rayan is a responsive bootstrap admin dashboard template built with Twitter Bootstrap Framework and it has a huge collection of reusable UI components and integrated with jQuery plugins also. Rayan can be used for applications (CMS, CRM, Custom Admin Application, Admin Dashboard). Rayan template works on all major web browsers, Desktop, iPhone, iPad, Tablet and is any smart phone friendly.